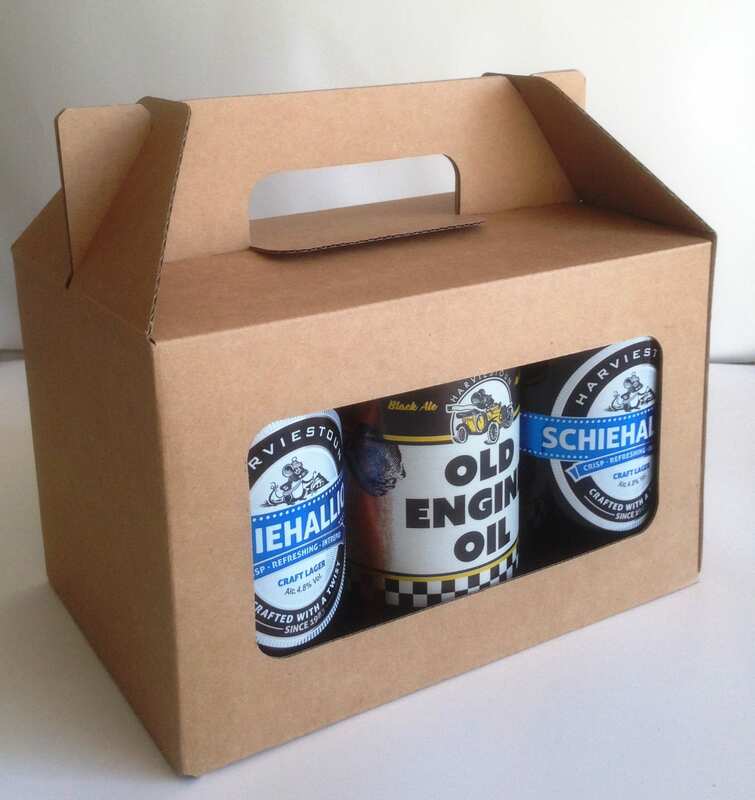 Our 330ml beer and cider can packaging are available in either 3, 4, or 6 can gift boxes. (See also Transit Packs). This beer and cider can carrier six pack has windows at the front to make an attractive display. Alternatively we can provide a bespoke print service.